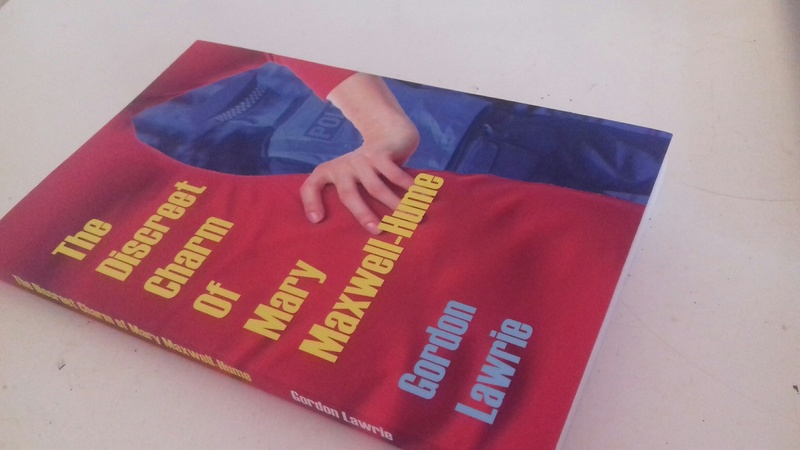 New in print is The Discreet Charm of Mary Maxwell-Hume by Gordon Lawrie. Here’s the blurb – Mary Maxwell-Hume is an enigma. She earns a living as a piano teacher but also belongs to an obscure order of nuns. Their rules appear curious: although the sisters wear red habits occasionally, the order has a peculiar dress code. Nuns wear ‘only as much as is necessary to preserve due modesty’, plus liberal doses of Chanel no.5 perfume. There’s the faintest hint that Mary might be a bit of a hustler, but she uses her sensual powers in such a way that nobody minds – except for the odious Theodore Plews of Lambert’s Auction House in Edinburgh. Anyway, who would dare suggest that a woman of God might not be all she seems? The book is published by Comely Bank Publishing, and you can buy directly from CBP here. There’s a limited time offer, where you can also get Gordon’s first book, Four Old Geezers and a Valkyrie for £8.99 (including postage). If you want the e-book, the storefront has links to e.mobi (for Kindles) and e.pub versions (for every other e-reader). Thanks, Emma, but the last of those copies of Four Old Geezers And A Valkyrie have actually gone, so the two-for-one offer isn’t available any more. However, there’s a new book coming shortly, called The Blogger Who Came in from the Cold, and there will be a whole lot of new offers! Actually, here’s an offer for all of your readers: email me at flyingsaucermusic@btinternet.com quoting the code EMMA’S BLOG and I’ll give you the book for £1.00 off including p&p.